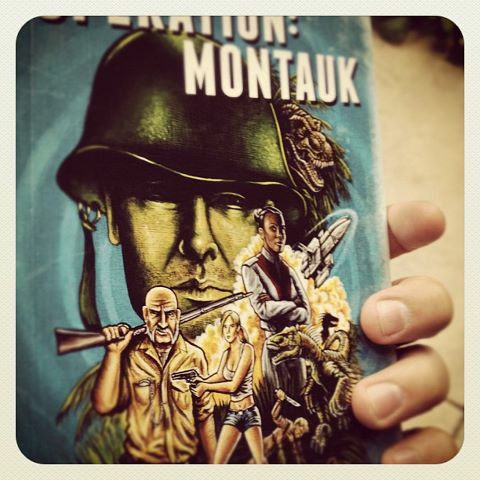 I received the first proofs of Operation: Montauk yesterday, as well as two new reviews of the book. I can't tell you how good the books look. Lucas and Blain knocked this cover out of the park. I can't wait for you all to get your hands on it. There are two people who have got their hands on it, though, and they've written reviews. The first, is Troll in the Corner's Glenn "Naked Hobo" Buettner. After a hilarious after-life exchange between Michael Crichton and H.G. Wells, Buettner wrote a review of the book you really just need to read. I think the most refreshing thing about this book though is that it tells a great story with interesting characters without the need for twenty seven encyclopedic volumes of epic insanity. I could hardly put my copy down, and if it had been longer I would have probably lost my job. I think it's safe to say he liked it. You can read the full review here, if nothing else for the Crichton-Wells conversation. The next comes from Racheal Ambrose from The Galactic Drift. Here's a piece of the review. Operation Montauk keeps readers glued to the page... Young uses time travel in a way that doesn’t seem cliché or overused. Instead of humans beating time, time challenges them. For those who love the cover art Blain put together as much as I did, we have created a very limited run of 13" x 19" prints of the painting with some text. They are signed by the artist and numbered 1-30. I'm only selling 10 online, the rest will be available at signings and appearances. If you'd like to order one online, they're $15 plus shipping. If you want me to sign it also, you'll have to let me know. I'll be back with more reviews and announcements soon! 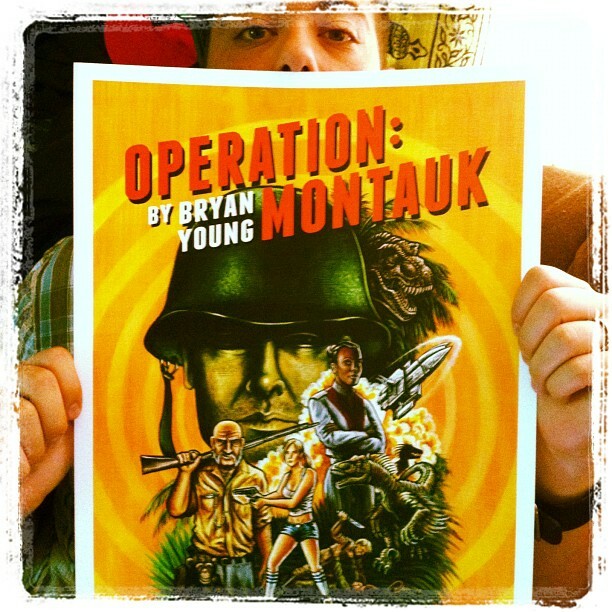 And if you want to pre-order a copy of Operation: Montauk, you can do it here!